Internet reviews are double-edged swords. Every business craves those 5 start ratings singing their praises. But what happens when you get a negative response? Maybe it is well-deserved criticism or maybe your customer is just a jerk that is having a bad day. Since no business is perfect, you should expect an occasional ding to your otherwise “spotless record”. Would it surprise you to know that the negative review does not have as much impact on your reputation as your response to that review? 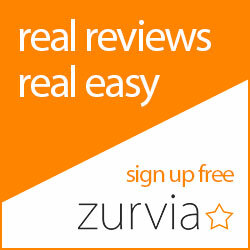 I consider myself a savvy shopper and I make a point to check out those negative reviews as well as the positive ones. If the business owner addresses the negative customer experience in a positive constructive manner, It is more likely to lessen the impact of the negative review and actually paint a picture of a business owner the is genuinely concerned about customer service. Jay Baer has written extensively addressing just this situation. In his book entitled “Hug Your Haters” he illustrates various ways actual business owners have used negative reviews to fortify their customer service and at the same time take the opportunity to discover flaws in their own business systems. Not only does this lessen the sting of a poor experience for the customer, but it gives the business owner an opportunity to shore up vulnerabilities in the business process or discover the need for employee retraining. Any business owner that is arrogant enough to think there is no room for improvement in the services the business provides should be prepared for a lot more negative feedback to avalanche his way. How should you handle negative reviews? Here are some guidelines to follow. I also suggest you read Jay Baer’s material on this subject.